Wigs – Scam Alert! | Consumer protection: Beware of CHINESE SCAM web sites. 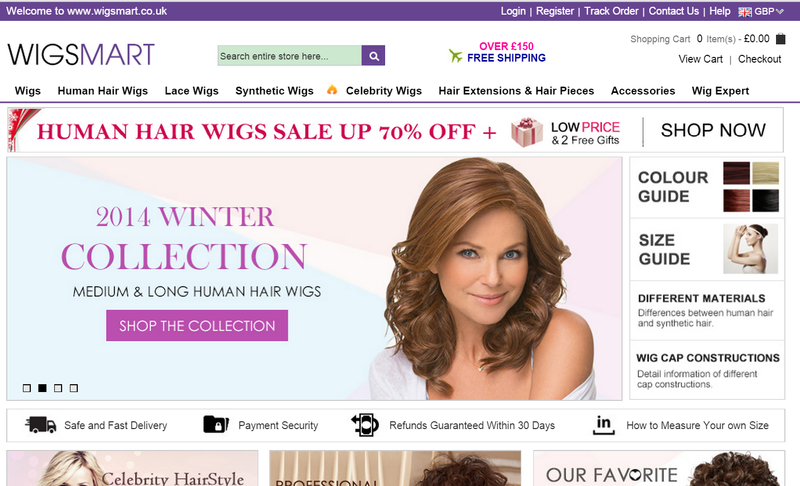 Wig consumers are being swindled by fraudulent online sites. I made a huge mistake buy ordering wigs from them and then reading the longgg list of terrible reviews. Bombarded them with e-mails to cancel my order and was told they were already being made, so could not cancel. Related: DON’T BE FOOLED BY WIGSIS! When they came. they were sooo horrible looking. Not real hair. not even synthetic. I’ve seen better hair on a $5.00 baby doll. Threw them in the trash rather than go threw the stress of dealing with that SCAM company. I learned a big lesson from this. If you want to keep your money. DO NOT ORDER FROM THIS FRAUDULENT COMPANY!!! they say this message needs to be longer,so I’ll just say They are a scam. fraud, and I don’t know why they are still in business. That SMILEY FACE at the bottom is not from me. Reason of review: They ripped me off. Wigs.com – The Wig Experts, 23 years online | More Info! WigSalon.com, 20 years online | More Info! WilshireWigs.com, 20 years online | More Info! VogueWigs.com, 15 years online | More Info! WigOutlet.com, over 10 years online | More Info! There are many more online wig companies, click here for more information! This company has been ripping people off by falsely advertising wigs. They are posting videos that they’ve taken from YouTube that are reviews of wigs from other hair companies!!! This is a Perfehair wig review. ( apparently they also operate under several different names. We wigs, life wigs and MyBestWig). After receiving this hair, I thought I really needed to do a review. This wig is from a China, not a UK based company. This company claims to be selling human hair and wigs at a bargain price. I would advise anyone to watch my review first before making any purchase. I was given an update that this company also operates under the name we wigs, sigh! They must have a target to become millionaires by Christmas because they are working extremely hard coning people. Please share your experience with PerfeHair and help others to prevent being scammed. in this circumstance I am extremely dissatisfied. I ordered a wig on wigsbuy.com on 10/13/14 and paid for two day shipping as I wanted the wig sooner than later so I could try it on and make sure it worked for my costume. I paid a total of $61.99 for the wig plus $25 shipping to get it here. I emailed the customer service email address on 10/23/14 and stated I no longer wanted the wig as I had changed my costume and no longer needed it and wanted to save them the money to ship it hoping for a full refund. I received a reply on 10/24/14 stating that they just finished “Custom Making” my wig…? I then received a call at 10:30 that night from a woman who barely spoke english telling me she was shipping the wig even though I didn’t want it. She offered a $10 refund and when I said no, she said “Ok. I ship anyway. We just finish making and very sad you don’t want” So I figured when I received the wig I would just ship it back. I was wrong. It arrived on 10/27/14. WAY more than two days from the original purchase date of 10/13/14. When I opened the box for the wig the packing slip stated it was worth $19. So I did a little research online and found that the wig was actually only worth $19 and was synthetic…not a $62 wig. “Thank you for your shopping WigsBuy.com. Can you tell us why you want to return it back?what’s wrong with the wig you received? Sorry to hear that you are not satisfied with the wig of order ######. Could you kindly send us clear actual photos of the wig you received, the photos are taken in the natural light,so that we can make clear what’s the problem and solve it. Before you return the wig,hope you can provide the pictures to prove the wig problem. You can send us the wig pictures in the attachment by e-mail. You can’t return the wig back without our permission. Last I checked people are allowed to return an item if they are dissatisfied and within the return period. I then replied: “There isn’t a problem with the wig. I DON’T WANT OR NEED THE WIG. That is why I called to cancel the order BEFORE it was shipped to me. The rep on the phone then ARGUED with me for ten minutes refusing to refund my money. I have yet to receive a reply but it took them days to get back to me and tomorrow is the 7th day of receiving the wig…I am sure that I will then have a battle because I didn’t return it within the 7 day period. Any advice on how I can report this website as the BBB is only applicable to the US and Canada. I am overly frustrated and sick or arguing with these people! I will NEVER shop at wigsbuy.com again! Find out more, why do wigsbuy consumer complain! We just received a new post from Ronnie Williams a UK customer, who ordered from Wigsmart.co.uk in the United Kingdom. Find out what happened to her! Be aware of Chinese scam web sites in the United Kingdom. Please help others and post your WigSmart experience!